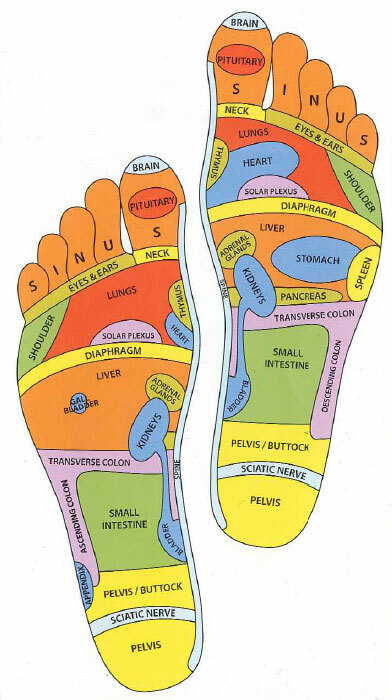 We know that massage is not only good for our whole bodies and minds, it's mainly good for our feet and legs. It can mean the difference between enjoying the everyday normal activity, like walking and being confined to the house due to pain and discomfort. Massage can help those with plantar fasciitis tremendously, as explained by expert physical therapists Brad Heineck and Bob Schrupp. Even if you don't suffer from a painful condition like plantar fasciitis or flat feet, or have circulation issues due to diabetes, your feet and legs do a lot of work every day. They carry you around and undergo a lot of force with every step you take. If you ever feel like driving straight to the pedicurist after work just so you can sit in one of those comfy chairs and rest your feet in that hot water, while a polite person spends a half hour massaging your feet and calves, you're not alone. It's not in our minds; it's science. Research shows massage is good for us. But you don't have to drive to the day spa. 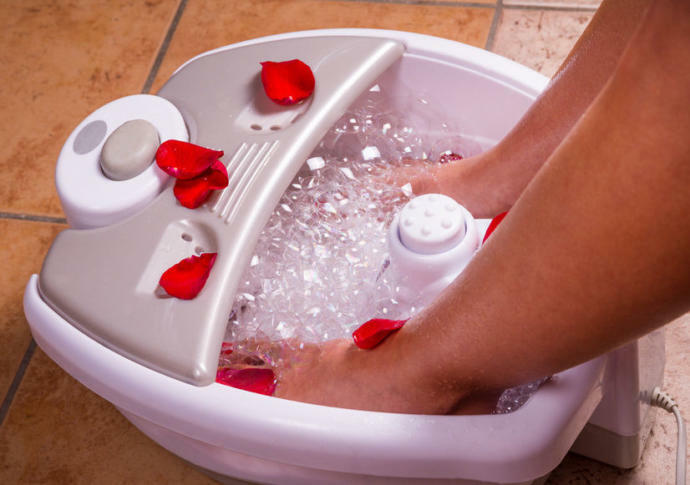 You can drive home and put your feet in the Kendal All In One Foot Spa Bath Massager. This massager is pure bliss in a compact little electric massager that is a breeze to pull out and use daily, and then stash back under a counter or in a cupboard. It even has lockable wheels for easy moving. 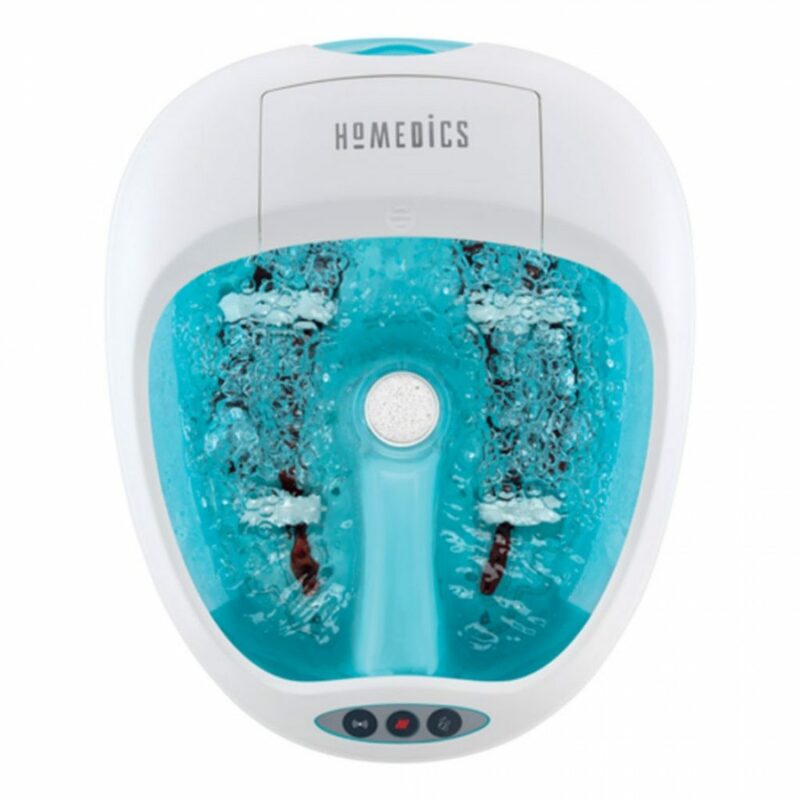 It features a heated foot bath with infrared light, and vibration as well as oxygenated bubble massage. There is a quick setting for the heat feature too, so if you don't want to wait, you can heat up the water in a jiffy, and it stays hot for as long as you want. No need to change the water or add more at any time during your soak to get it to your preferred temperature. There are three programs to choose from, so you can mix and match the features to the combination you like best. The basin is self-draining, so you don't have to worry about water sloshing about. If you love the features, look, and feel of the MS0809M but want a few extras, you should definitely have a look at the FBD720. It has all the same great features of the MS0809M, but also includes an herbal diffuser, LED display, and thermostat. The thermostat is a nice addition and a great safety feature. The water on these models can get very hot—over 100 degrees—so you should exercise caution and always test the water before submerging your feet if you're going with the MS0809M. This massager has three settings that accompany the massage features. Heat, bubbles, and vibrational massage. You can set them to your desired preference, whether it be massage only, massage combined with heat and bubbles, or bubbles and heat. The soothing action of the vibrational massage is great for relaxing sore, tired feet, relieving stress, increasing circulation, and treating symptoms of plantar fasciitis. The heat control does not allow you to set a temperature, so you just turn it on, and when it gets to your desired temperature, you turn it off. The water stays warm for up to two hours, but if it cools down beyond your liking, you just turn the heat back on. It also comes with a removable splash guard. Walking into a Brookstone when you're just maybe thinking about buying a home massage product is like walking into the pound when you're just considering adopting a pet. Let's face it, you're not walking out of either place empty handed. I don't care if it's a neck massager a full chair. If you want one of the best home foot spa massagers and calf massagers, you can't go wrong with a Brookstone foot spa. 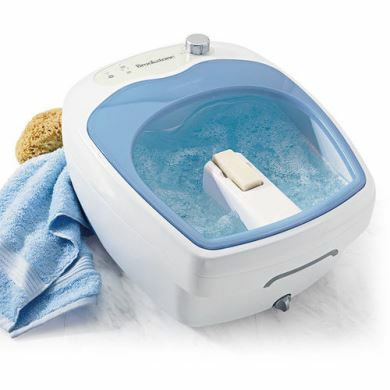 The Heated Aqua-Jet is one of the best heated foot spa you can buy. It's got actual jets—hydro as well as rotating—and it heats the water to up to 115 degrees instantly (always be careful and test the water first before you put your feet in!). The heated water combined with the therapeutic massage is good for those suffering from diabetes, as it increases circulation and blood flow. The bottom of the tub is equipped with rolling massage nodes, which target the reflexology zones deep in the soles of your feet. That makes this an excellent choice if you suffer from heel pain, flat feet, high arches, or plantar fasciitis. If you like the full salon pedicure experience, you'll love the included pumice stone for working out the rough spots and dry patches on your feet. If you have serious arch or heel pain, plantar fasciitis, or you just want best foot spa massager money can buy, this is it. The Carepeutic Ozone Waterfall is the big guns when it comes to home massagers. You will never need or even want to go to the salon again, as you will be relieving tension, pain, and soreness with one of the best hot water massages you can get, in the comfort of your own home. Turn on the television or put in your earbuds, turn down the lights, and you might never want to get up. The container itself is deeper than most models, so your legs are submerged all the way up to your calves. It features heated water and two types of massage. One is delivered via air bubbles with a waterfall effect, and the other from water jets that act as a sort of surfing massage on your feet and legs. In combination or alone, you can choose which you like, they increase blood circulation and relieve stress and tension. It also comes with a removable bag so you can add herbs to the bath if you prefer. This machine targets the key reflexology points on the feet, making this an excellent choice for whole-body health and wellness. 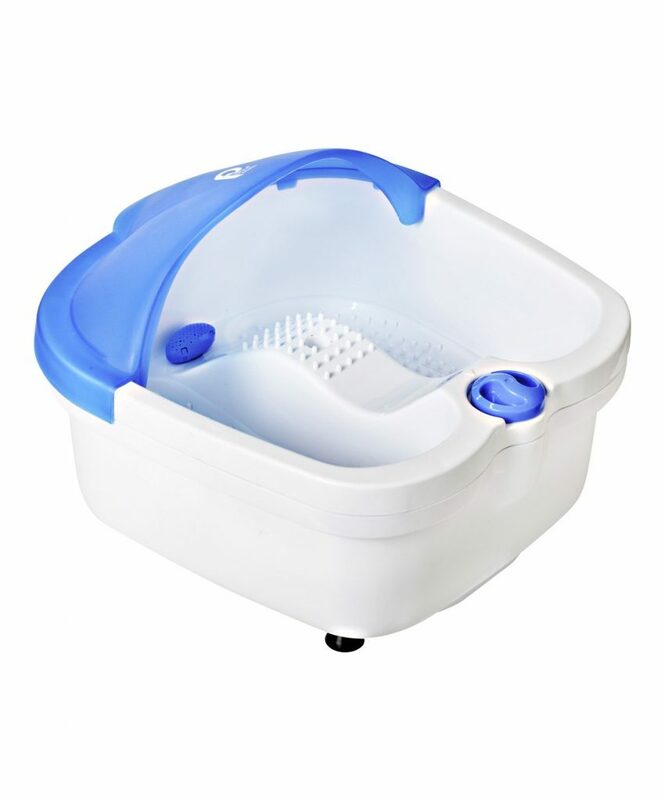 If budget is your main concern, this is a great choice for a home foot spa. It doesn't heat the water on its own, so you do have to fill the tub with pre-heated water. But once the tub is full of water at your desired temperature, it keeps it warm. With one touch, you can turn on or off the vibration massage, which eases tension and muscle fatigue, and relieves soreness. It contains a splash guard and one additional massage attachment. You can also use Epsom salts in the water for a soothing foot soak. 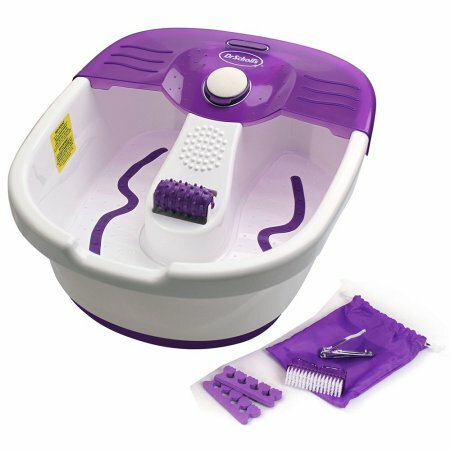 A similarly priced model with a bit of flare and fun is the Orbeez Foot Spa. The tub is full of over 2,000 Orbeez, which are small balls that start out like hard little pellets, but as you add water, grow into smooth, soft, massaging balls. The Orbeez in combination with the warm water soothe and massage your feet, relieving stress and tension the longer you soak. If you want a name you can trust and a good model that won't break the bank, have a look at Dr. Scholl's Invigorating Pedicure Spa. This is a step up from the Conair foot spa, but a little higher end. It's not equipped with a heating element, but it is designed to hold the heated water. So, you have to fill it with water heated to your desired temperature out of the gate. The rolling massager eases tension and relieves stress, and there are pumice stones under the area of the heels of your feet, so you can pumice without having to remove your feet from the bath. There is a bubble feature, which is relatively powerful that you choose to turn on or off. If you're looking for the power of jets, however, you won't find it here. 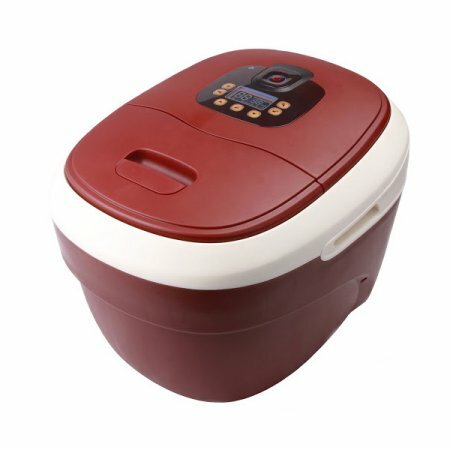 For under 35 dollars, this is a nice home foot spa for those on a budget. When it comes to home healthcare products, HoMedics is a name you can trust. They have been designing and manufacturing home health and wellness products for over 30 years. Their entire line, from home massage and soozing spa products, to air filters, fitness monitors, and humidifiers, are built with one goal in mind, and that is to improve our home lives by creating a healthy environment. The Salon Pro is an outstanding choice for easing the pain and discomfort from sore and tight leg muscles and overstressed foot. It offers heat, vibrational massage, and pressure-point rollers that knead the soles and relieve stress and tension. 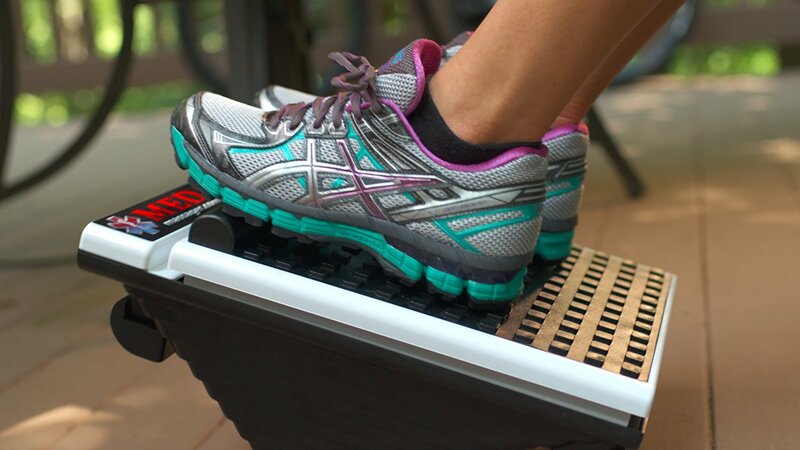 The heat boost enables you to go from cold to ninety-eight-degree water in no time. The bubbles and massage melt away the pain and discomfort that comes from long days standing / walking. It comes with four pedicure attachments, so you can get the full spa experience at home. 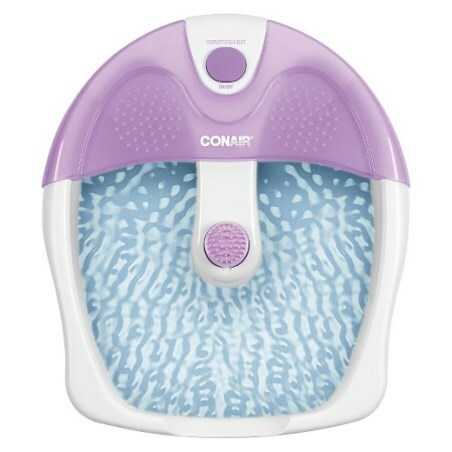 If you suffer from extreme heel or foot pain, have high arches or flat feet, or have diabetes or plantar fasciitis, a good thing to have at home is a foot massager spa bath machine. It can mean the difference between enjoying life with friends and family, and being constrained as far as where you can go and what you can do. Maybe you're on your foor a lot at work; do a lot of standing, walking, or hustling; or you just enjoy the myriad relaxation and tension relief benefits of a good massager and spa bath. that are tied directly to all parts of our bodies, including organs. Massaging those points can have untold health benefits. 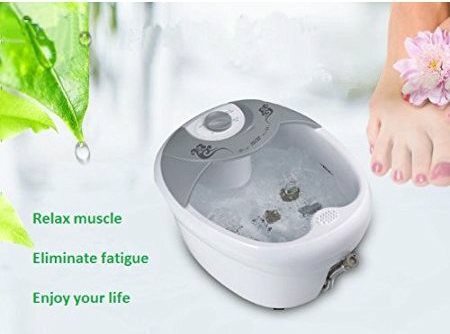 Whether you're after stress relief, want greater relaxation, or have extreme pain, you will find there's a home foot spa massager that suits you perfectly.